Wood-burning fireplaces were adding a lot of smoke that hurt Maricopa County, Ariz.’s air quality. Subsidize conversions to gas-burning fireplaces or the installation of emissions control systems. The fireplace serves a gathering place and entertaining space in a lot of households, something that really ties a room together. But in Maricopa County, Ariz., some of those fireplaces are a health menace. Nestled in a valley that is subject to wintertime temperature inversions, the Phoenix area is liable to sit under a gathering mass of smoke that can sink into residents’ lungs, once the wood-burning fireplaces light up for the season. The Valley of the Sun becomes the Valley of Smoke, because temperature inversions limit air movement, and smoke hangs in the air for a long time. It’s particularly dangerous for children, the elderly and people with lung conditions. “Fireplace Retrofit Program” is the recipient of a 2018 NACo Achievement Award in the Health category. Does your county have an innovative program that improves county government and enhances services for county residents? Apply for the 2019 Achievement Awards! 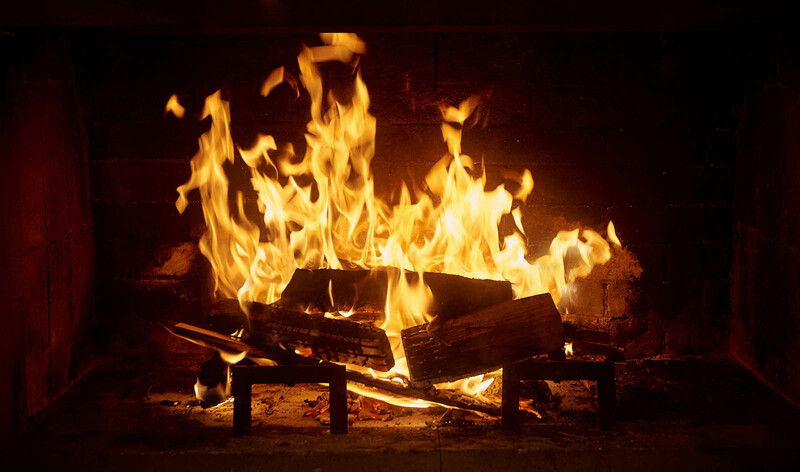 Natural gas fireplaces, available for homes with gas lines, has a 99 percent emissions reduction. The catalytic emissions control system, installed in the chimney, reduces fine particulate matter by 70 percent. The county does various outreach campaigns, including door hangers for houses in the target area and media outreach on Facebook, Twitter and Next Door. When air quality warrants the county declaring a “no burn day,” smoke makes it easy to suss out who is disregarding the order, and gives the county a chance to pitch the program. “We don’t always get positive press when it comes to “no burn” days, but we hope that by offering these alternatives and subsides, we can offset some of that,” Wesoloskie said. Once signed up for the program, homeowners take surveys to determine their wood burning habits and chose their refit option. Those refit costs range between $900 to $2,000, with some costs to the owner for projects over-the-limit overruns that typically happen if gas lines need to be extended. The catalytic converter might necessitate a chimney cleaning before installation. “There are programs like this in the Pacific Northwest, but typically those fireplaces are located in the mountains, in less-concentrated locations,” Wesoloskie said. “And those fireplaces are often used for heating purposes. Around Maricopa County, most fireplaces are ornamental, so people aren’t relying on them to heat their homes,” though there are some exemptions if wood burning is the home’s sole heating source. Wesoloskie said the county expected many program participants would pick the emissions reduction converter, but so far, the 440 converts have broken 60 percent in favor of the gas fireplaces. “You can still operate the gas fireplaces on ‘no burn’ days,” she said. “That might be why they’re more popular.” Over a little more than two years, the county has spent $700,000 on the program, which is funded by money paid to the county as penalties.